Ken Silber is the founder of Silken Audio. He has studied audio engineering with Grammy Award-winning engineers/producers, and has recorded all over the Boston area at such venues as Jordan Hall, Marsh Chapel, and Harvard's Sanders Theatre. He has worked on the full-time engineering staff at Tanglewood, the summer home of the Boston Symphony Orchestra in Lenox, MA, where he recorded performances by Yo-Yo Ma & Emmanuel Ax, The Tallis Scholars, and Hilary Hahn, to name just a few. Ken also has over 30 years of experience as a classical choral singer, and currently sings with the Tanglewood Festival Chorus in Boston, New York City, at Tanglewood. 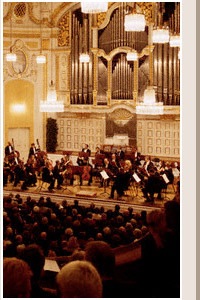 During the Boston Symphony's 2007 European Tour, Ken recorded the TFC's concerts in Trier, and Essen, Germany. Current and past recording clients include the Tanglewood Festival Chorus, Marsh Chapel Choir and Collegium at Boston University, Chorus pro Musica, Back Bay Chorale, Boston Cecilia, New Philharmonia Orchestra, Waltham Symphony Orchestra, Boston Saengerfest Men's Chorus, Boston City Singers, Metropolitan Chorale, Boston College University Chorale, Harvard-Radcliffe Chorale, Longwood Symphony Chamber Players, New World Chorale, Oriana Consort, University of North Texas Baroque Orchestra and Chorus, and many others. Silken Audio traveled with the Tanglewood Festival Chorus in order to record two concerts in Germany as part of the Boston Symphony Orchestra's most recent European Tour. The concerts took place in the Cathedral of St. Paulinus in Trier, and Philharmonie Hall in Essen, two very different concert venues, each presenting its own unique challenges.